Green tea weight loss is a popular trend all around the globe. Green tea weight loss supplements line the shelf of every pharmacy and grocery store, each promising that you will lose weight with their main ingredient: green tea. Green tea, however, is not only helpful in weight loss, but it naturally rids your bodies of harmful toxins, and replaces them with powerful antioxidants that can improve your body’s function from head to toe. But why take supplements for green tea weight loss, when you can brew a cup of delicious tea at home, and take advantage of all of the health benefits associated with green tea. In fact, consuming it in its original form, not in a supplement, is not only tastier, but it is reportedly healthier and sometimes less risky. If the leaves are left whole and outside of a teabag, you’ll find that more of the tea’s antioxidants are able to escape into your tea, so you aren’t missing out on any of the benefits. In fact, many people have grown to love matcha green tea powder, because it is stone ground whole tea leaves that can be directly consumed (by baking or drinking), leaving nothing to discard afterward. However you choose to drink green tea, it’s a great way to help with your weight loss goals. I personally (Tea Party Girl ~ Sonya Michelle) believe the best way to lose weight with green tea is to couple it with a great eating regime. Say so-long to processed foods. Eat only lots of fresh vegetables, some nuts & seeds, a bit of dried fruit, a bit of fruit, a variety of healthy grains like quinoa, brown rice, rolled oats and no refined sugar (if you can help it – there are so many options these days), avoid processed carbohydrates (like bread and pasta – our body wasn’t designed for it) and no (or as close to no) animal fats as you can manage. Now, if there’s a particular treat you have a craving for to enjoy with a special moment and a cup of tea, then these guidelines go out the window – but only very occasionally! My green tea diet consists of a meal such as the one pictured below : steamed fresh brocolli and carrot, topped with freshly ground black pepper and a generous drizzle of a creamy sauce made from white beans (tinned in this case), yellow capsicum, nutritional yeast, lemon juice, dijon mustard & almond milk (or any plant-based milk – or ‘cordial’, for those of you who believe that milk only comes from mammals!) and a pot of gunpowder green tea. I have to confess I always follow this meal with a couple of squares of Lindt 70% Dark Chocolate, even if I have this meal for breakfast. A bit cheeky, but I have managed to lose a few pounds over Christmas, so the chocolate stays! Lose weight with Green Tea by following a healthy eating plan and enjoying freshly brewed leaf tea, rather than supplements. It’s important to note that part of maintaining a healthy weight is by being healthy. Simply losing weight alone isn’t a healthy route, but doing something healthy that results in weight loss is! Green tea does not undergo as much processing as most teas. Because of this, it retains more nutrients and therefore more benefits. While some are still debated in the medical community, a majority of people agree on most of the benefits said to be found by drinking green tea. Green tea weight loss occurs when the polyphenol in the tea intensifies your metabolism. Below are some other benefits you can expect when you consume green tea in its common form, as a tea, or when consumed as a matcha green tea powder. Many people have studied the heart disease rates in areas where tea is consumed on a daily basis. While not everyone draws a correlation here, it’s worth noting that the general trend shows a lower rate of heart disease. It is believed that green tea helps the blood vessels relax to handle changes in blood pressure. Because of this, it can protect against blood clots, (which lead to heart attacks). It is also widely believed to reduce the risk of high blood pressure. It helps prevent diabetes and regulate blood sugar levels. Drinking the tea can actually slow down the rise of blood sugar, preventing spikes. It prevents cancer. Particularly in the esophagus (thought to perhaps be due to the consistent direct contact), green tea is widely believed by some to kill cancer cells. It protects our brains. Green tea can delay damage by major health issues such as Alzheimer’s and even Parkinson’s disease. It is said that because it protects brain cells from dying, it not only helps our memory stay sharp, but it sometimes helps restore some of what has been lost. It balances cholesterol. In the era of “good cholesterol and bad cholesterol,” it’s often difficult for us to decipher the difference. Green tea reduces the bad cholesterol while raising the good cholesterol, so there’s no guessing about what kind of cholesterol you’re consuming while drinking the tea. The catechins in green tea are antiviral and antibacterial, so the tea has been shown to help fight off diseases. Because of these same properties, it is great when used in skin care products. It can help reduce previous damage and even reduce wrinkles. (Click Here for a Quick and Easy Green Tea Facial Recipe.) When consumed, it helps the skin from the inside out. Note of caution: If you are pregnant or trying to become pregnant, use caution. Green tea can inhibit the absorption of iron and folic acid. Discuss these concerns with your doctor before trying green tea for any of its many helpful uses. While Harvard University recommends to counteract any absorption issues by simply adding lemon or milk, or eating between cups of tea, this should be more thoroughly discussed with your doctor. Without exaggeration, if you are looking to lose weight with green tea, you may be in for quite a surprise. You’ll likely find that not only will you lose weight, but you will also be more likely to develop a healthy lifestyle that can help you maintain the healthy balance your body needs. A Harvard University study found general consumption of tea showed a 46%-65% reduction just in hypertension, which is another contributing factor to heart problems. It’s recommended to drink about three cups per day of green tea to see its maximum benefits. It’s also important to brew the tea for the proper time at the proper temperature, so you get the most antioxidants possible. Once used by the Chinese to control bleeding, help digestion and regulate body temperature among many other things, green tea is still recognized as one of the healthiest teas available today. 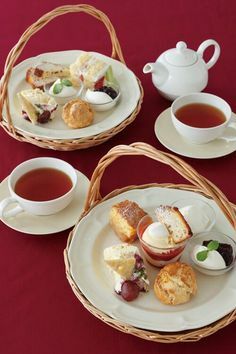 If you are looking for a green tea weight loss regimen,Tea Party Girl recommends that it’s best not to simply focus on weight loss, but rather, how green tea can help you become a healthier person overall,replacing sugar and fat-laden drinks and snacks with healthful and refreshing green tea, and losing sensible amounts of excess weight along the way.